Some slim wallets were hot, some were not, and some even came with a built-in bottle openers, knives, and screw drivers. Here is the list of a few wallets i’ve tried and used myself. The Dango Tactical EDC Wallet is a wallet that allows you all of the convenience of a large wallet with the usefulness of having a multitool nearby. This durable wallet is made out of top grain leather and weighs next to nothing. It is able to accommodate all of your most important business cards, debit cards or credit cards with its abundant twelve card slots. The Dango Tactical EDC Wallet comes with a multitool that is crafted out of 6061 aerospace grade CNC aluminum that will allow the multitool to outlast the years and ensures that they will not break while in use, no matter how often you need to use them. This multitool comes with a saw, a paracord tensioner, a knife, a 10/15 millimeter hex, a nail pryer, a smartphone stand, a ruler and so much more. – Handsome leather design. 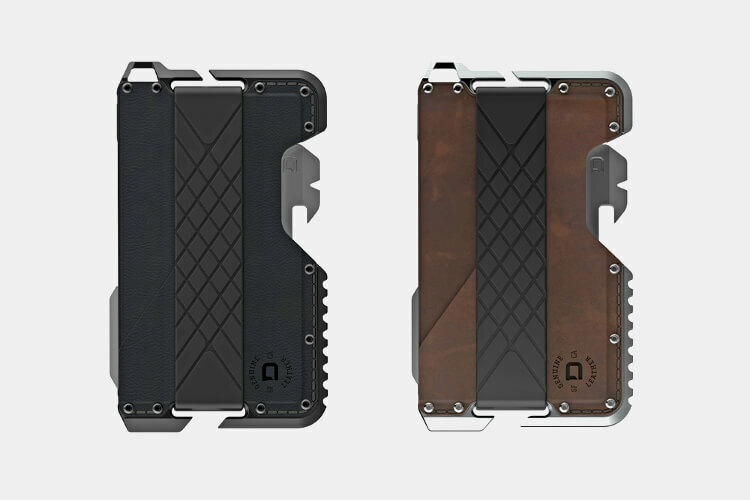 The wallet comes with a beautiful exterior that makes it not only rugged but attractive as well. It is made out of durable top grain leather that affords it not only its durability but its sleek nature. – Multitool. While it is a practical and useful wallet all on its own, it is also one that can serve as a number of other helpful tools. These tools can get you out of a sticky situation while traveling or exploring the outdoors while also making small jobs around the house more convenient and doable. – RFID Blocking. Whether you plan to go abroad or just down to main street for some shopping or errands, the Dango Tactical EDC Wallet can protect your personal information and finances. It uses RFID blocking that can stop anyone from taking your information with an RFID reader. – Won’t pass airport customs. Because it does have the multitool that possesses sharp objects, it likely won’t pass the security screening at an airport, so you may have to ship it to the address that you will be at in the other country. You could also just check it in your bag instead of taking it with you on the actual flight itself. Trappers Personal Favorite Made with 6061-grade Aerospace aluminium, the Dango Dapper 2 is Nickel-Plated, Hand polished and Hand assembled. With a genuine top grain leather finish that is secured to the Dango Dapper chassis with mil-spec bolts. It is compatible with the MT02 Multitool which is sold separately and would make a great enhancement to an already fantastic product. This wallet was designed for the sophisticated individual who also has an edge, so whether you are battling it out in the boardroom, on date night, dancing in a club or cruising in the Mediterranean, this wallet will be by your side and not look out of place. Wherever you are or whatever your circumstance you will always be able to relax knowing that the RFID blocking will enable your cards to be protected. The Palm West Money Clip is an RFID blocking wallet that can keep you safe on your travels. This wallet, measuring only 4.25 inches in height by 2.75 inches in width, is able to easily fit into any of your pockets, bags and the palm of your hand without causing uncomfortable bulk. It is minimalist in nature but is able to spaciously accommodate up to six of your most pressing cards within it. It comes with a cash money clip on its exterior that makes it simple to tote around all of your financial belongings in one place. This Money Clip is made out of beautiful bridle leather that has been tanned with natural vegetable oil and is designed to only become more handsome with age. – RFID blocking technology. The Palm West Leather inimalist Money Clip is ideal for traveling with, not only because of its ultra slender minimalist design but because of its protective properties as well. You can keep all of your debit cards, credit cards, identification cards and your driver’s license safe and sound behind a wall of RFID protection. This RFID technology stops the RFID machine readers that can take the information from the RFID chip on your card and give it to someone with malicious intent. Stop electronic pickpocketing with this money clip. – Reduces bulk in the pocket. 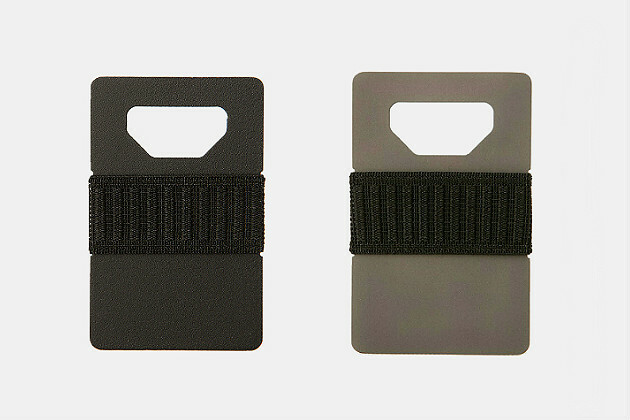 The money clip is ultra thin and weighs next to nothing. It can easily fit into the palm of your hand with its measurements of 4.25 inches in height by 2.75 inches in width. The style of the wallet enables it to be used as a classic back pocket wallet without leaving unsightly lines and bulkiness in your pants. It can also be used in the small front pocket with ease without restricting movement. You can hold up to six of your most important cards at one time with the wallet, making it functional and spacious even though it is small. There is even a way to securely store cash thanks to the spring-loaded money clip that it includes. – Stylish and handsome. The Palm West Money Clip is made out of durable genuine leather that has been vegetable tanned with oils instead of harsh chemicals. It is fashioned out of tanned bridle leathers that will improve with age, and it is finished off with the beautiful golden Palm West emblem. – May be heavier than some other minimalist watches. While 3.2 ounces might not sound like a lot, it does add a bit of weight that other styles may not. Most minimalist wallets weigh around two ounces or just over that amount. Even still, it is lightweight and easy to tote around, so this may not be such a big deal. 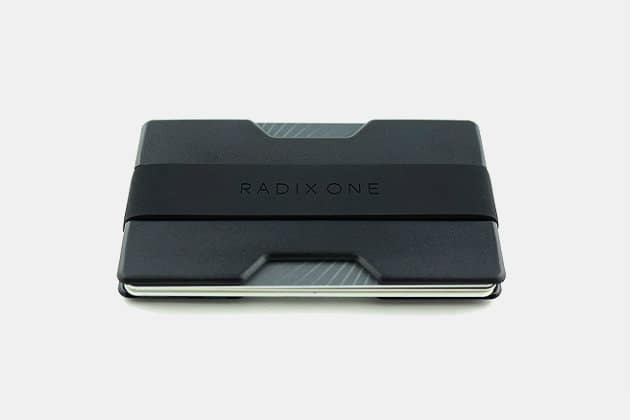 MOST AFFORDABLE The Radix One Slim Wallet is an ultra slim wallet that allows you to carry around up to four to 10 of your most-used credit and debit cards, your ID card, driver’s license and business cards. This wallet is sleek and contemporary with its crisp white design and ultra slender profile. With its combined composition of strong polycarbonate and silicone, you are ensured it will last for years to come and will not suffer from wear and tear due to simple drops. The silicone ensures that you will be able to keep the wallet secure in your pocket with friction so that it will not accidentally slip out. The Radix Wallet is lightweight and will not cause any sort of lines in your pocket. – Minimalist design. The Radix Wallet has a crisp, white and slender design that makes it perfect for the lover of all things contemporary. It is futuristic in nature and much slimmer than a traditional bifold wallet. It is also exceptionally lightweight, ensuring that it will not weigh down your bag or pocket and will certainly not cause unsightly lines in your clothing with extended wear. It weighs less than one ounce, making it so that you will barely even feel it. – Small but spacious. Even though the Radix One Slim Wallet is on the small side, it can comfortably accommodate anywhere between four to 10 cards at a time. This ensures that you will never have to go without your most important cards. This way, all of your debit cards, credit cards, business cards, identification cards and driver’s license can all fit inside with ease. It also has room to accommodate any cash that you want to carry as well. – Durable design. This wallet is made out of ultra strong and sturdy polycarbonate material that can withstand any sort of wear and tear. Silicone makes it soft and comfortable to hold and keeps it secure from sliding out of your pocket. It’s intended to last for a lifetime to come due to its design. The Distil Union Wally Micro is an ultra slim wallet, one so small that you might forget it is even in your pocket. This wallet may be slender but it is able to hold up to 10 of your most commonly used cards. The wallet weighs next to nothing and is slender enough to be put into your front pocket. In the back pocket, it won’t weigh down the fabric and cause an unsightly line or bulge to appear. This wallet is made out of elegant and handsome Italian leather that makes it ideal for formal wear. It also comes with a reversible side that allows it to be worn in public on the weekends or to a formal event all the same. – Ultra thin. The Distil Union wallet is thin and easy to carry around with you, making it so that you will not have to worry about it causing an unsightly bulge in your pocket, nor will it eventually cause lines to form in the fabric. Even though it is so thin, it can still store anywhere between one to 10 of your most used cards to ensure that you always have them on hand. Your two most convenient cards will always stay at the top as well, ready to be used at a moment’s notice. – Perfect for multiple uses and occasions. Because of its beautiful and luxurious Italian leather composition, the wallet is ideal for both formal and informal events alike. – Reversible design. It comes with a reversible design that offers two vibrant colors for you to choose from. This makes it even better suited for both casual and formal wear. Choose a more vibrant color for your weekend attire and go for something more subtle for your formal wear. – NFC compatible. The Distil Union Wally Micro makes it easy for you to pay however you choose thanks to its NFC compatibility. This allows you to press the tap to pay screens much more easily without having to take out the credit or debit cards from your wallet. This also makes it simple for keyless entry into work and residential environments. For those who may be a bit rougher on their wallet than most, but still want to keep their EDC thin and streamlined, the Armored version of the Trayvax Summit Wallet is a solid choice for everyday carry. An RFID-blocking steel plate protects your cards and sensitive information from no-good hackers and skimmers, while a military-spec webbing strap secures up to seven cards — just enough to survive while keeping things minimal. An integrated money clip pulls cash-holding duties, and a built-in bottle opener cracks open bottles of your favorite beverages shortly after you walk in your front door. It’s a tougher minimalist wallet than most, but won’t weigh you down during the day. Best Overall Minimalist Wallet: A lot of forethought went into the design of the Ridge Wallet in order to make it a sleek, fully-functional minimalist wallet with a modern touch. The Ridge Wallet is an RFID blocking front pocket wallet that is crafted from your choice of high-grade titanium or lightweight aluminum and features elastic straps that allow it to expand according to the size of your carry, along with an integrated spring-loaded money clip for securing your cash. Buy it once and it will likely last a lifetime. Buy it twice and you’ll have a pair of one of the best, most durable minimalist wallets money can buy. Slimmest Minimalist Wallet: The Spine Minimalist Wallet is front pocket carry the way it was intended to be — lightweight, slim, and a means to popping open bottles of your favorite craft beer. The Spine Wallet is crafted from grade 5 titanium, which renders it extremely lightweight, water resistant, corrosion-resistant, and stronger than most any other wallet on this list, and features a durable elastic band that secures your cards and cash and an integrated bottle opener for popping open bottles on the fly. And at only 1mm thick, it is literally the slimmest minimalist wallet you can buy.